According to Syndacast, 74% of all internet traffic in 2017 will be video. Not only that, studies show that using the word “Video” in the subject line of an email can increase open rates by 19%, click-through rates by 65% and reduce unsubscribes by 26%. According to Twitter, videos and photos get the most retweets. It is naturally engaging and, in an age of information overload, it’s vital for small businesses to offer content that is easy to digest; if not, consumers will simply move on. Video does this very well. If a picture paints 1,000 words then one minute of video is worth 1.8 million, so say Forrester’s researchers. Little wonder then that Axonn Research found seven in 10 people view brands in a more positive light after watching interesting video content from them. “Video is no longer optional for brands and businesses looking to market to millennials.” According to the 2015 Online and Mobile Video Study from Animoto. Their survey of a representative sample of 1,051 U.S. consumers revealed 70% of millennials were likely to watch a video when shopping online and 80% of millennials found video helpful when conducting online research for a purchase decision. And according to the same study, Millennials are 264% more likely than Baby Boomers to share videos about a product, service or company while shopping online. The rules of content marketing also apply to videos – provide value to your audience instead of launching a sales pitch. For most organizations, there’s no shortage of potential video content. Think about your audience and what you want them to know about you. Fun campaign videos can bring your business to life in the eyes of the customer and humanize your brand. Product demo videos can quickly educate audiences and build trust in your offers. A good first video is an explainer video which explains what your company does and who you are. A lot of companies make explainer videos, and they think video marketing stops there. 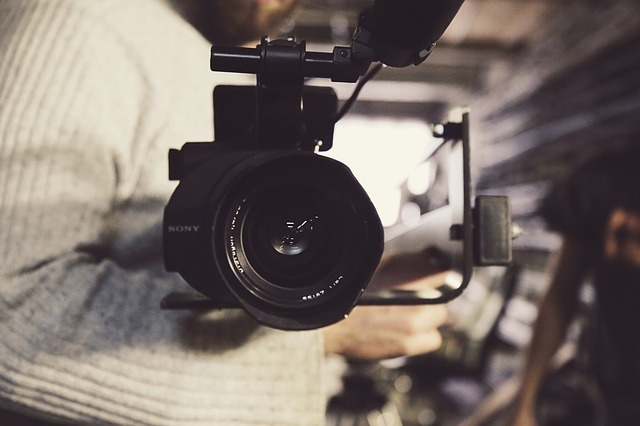 But there are so many opportunities for you to offer your audience video content throughout the buyer’s journey—videos that will help educate them, make it easy to trust your brand and move them to a purchase decision faster. You’ll want to create videos for every step of the marketing funnel. It’s said that buyers do more than half their product research independent of vendors, so you’ll want to provide videos for every step of that journey. Product explanations are important, but they don’t always make the most compelling stories. Interview members of the C-suite to put a human face on the company. Involve customers by featuring their success stories. Let your partners talk about their businesses and what makes working with you unique and memorable. One way to tie in all your social media platforms with your main site is to have small snippets of your video across all your platforms. Start off with a short 15secs video on Instagram, linking it to a 1-minute long video on Facebook, ending it off with a Youtube video embedded onto your landing page/website. This helps in creating hype, curiosity and buzz and at the same time increasing the reach across all your social media platforms. Now you’ve got a rocking video with rich content out there. The absolute final step you have to do to is to make sure your efforts in creating the video isn’t wasted by vanishing into oblivion. There are plenty of tactics you can use to ensure your videos get found easier in search engines. The first thing you should do to derive maximum SEO value from your video (before you upload your video to any sharing sites) is to host it on your own domain. Use important keywords in the title and description of the video to help users looking for it to find it. It’s also important to enable your videos to be embedded by others, as this will help you increase the likelihood of receiving inbound marketing links.